Finance Minister Asad Umar on Monday said Pakistan is close to striking a deal to secure financial support from the International Monetary Fund (IMF), a day after Prime Minister Imran Khan met IMF chief Christine Lagarde on the sidelines of the World Government Summit in Dubai. Addressing the Sarhad Chamber of Commerce and Industries (SCCI) here, Asad Umar said a deal with the IMF looks imminent and that there was a convergence of views between the two parties on the need to implement structural reforms in the country, reiterating the prime minister’s remarks in the aftermath of the meeting. “There has been a decrease in differences we had with the IMF. The IMF has changed its position… It seems we have come closer to an agreement with the IMF. Insha’Allah this will be the last agreement. This will happen when businesses grow,” he said. The minister stressed that Pakistan’s economy would be lifted by its people, not by anyone coming from the outside. “If we take the right decisions the economy would rise. It is the responsibility of the business and trading community to put Pakistan on the path towards progress,” he said, adding that the prime minister told the IMF that Pakistan wanted to sign on the package. Discussing the importance of strengthening trade ties with the neighbouring countries, Asad Umar said Pakistan is focusing on boosting trade with Iran and Afghanistan. He said trade ties with India could improve if the Kashmir issue was resolved. The minister said Pakistan is working on a strategic economic draft to strengthen economic ties with Turkey. “Peace in Afghanistan (will lead to) peace in Pakistan. 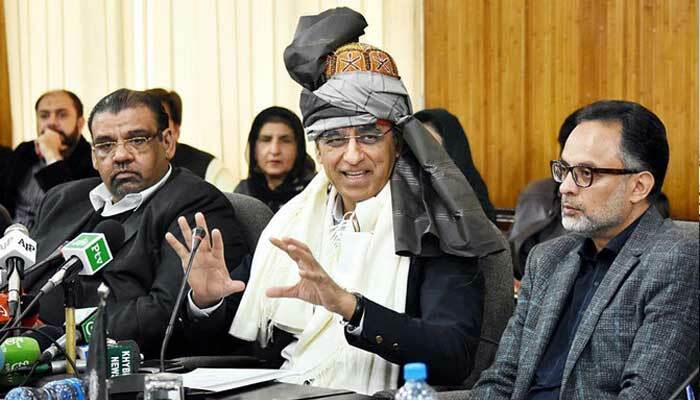 We are playing our role for peace in Afghanistan,” Asad Umar said. He further said the government had not stopped PayPal from entering into the Pakistani market. “PayPal is not stopped on my desk, the State Bank or in any other government institution. We are chasing PayPal,” the minister said, stressing that he was aware of PayPal being an excellent source of income for Pakistani youngsters who work from home. “They face immense difficulties without PayPal or any effective online payment system. I have taken the initiative myself and sent a message to PayPal CEO that this was important and I was willing to fly to America to hold a meeting,” Asad Umar said. To a question, Asad Umar claimed that Lebanese Prime Minister Saad El-Din Rafik Al-Hariri, who allegedly brokered a deal in the past, has given an assurance to Prime Minister Imran Khan not to broker one this time. He categorically said that no deal or relaxation would be extended to corrupt elements in the country. “Right during our meeting (with Hariri), our own assessment was that all would be thinking of new deal out there, but let me tell you in very categorical terms that there would be no deal with anyone and no one would be given any dheel (relaxation),” he said. “Let me tell you that we also reminded Saad Hariri that he had facilitated the first National Reconciliation Ordinance (NRO) in Pakistan. He threw his hands up and said that he would not interfere in any such thing this time,” explained Asad Umar while referring to the meeting amid rumours of a possible deal to secure the release of former prime minister Nawaz Sharif. Earlier, the SCCI President Faiz Ahmad Faizi and prominent businessmen of KP, including former president FPCCI Ghazanfar Bilour, ex-president SCCI Raiz Arshad, Haji Muhammad Afzal, Zahid Shinwari, Zarak Khan, Malik Niaz and others, spoke on the occasion and highlighted different issues being faced by the business community of the province. Asad Umar said the government was committed to providing level-playing field to business community and it was up to them to compete internationally since they provide jobs and generate taxes. He said Khyber Pakhtunkhwa had rich potential in fields including hydel power generation, mineral resources, gas deposits and tourism. “If these potentials were properly tapped, the country, especially KP, will get enormous economic boost,” he added. Asad Umar said during a recent meeting with Malaysian and Turkish authorities it was revealed that the former country had an annual earning of $22 billion while the latter was earning $44 billion from tourism sector. “The income of Pakistan through tourism is very nominal despite the fact that we have numerous scenic spots and resorts in KP and Gilgit-Baltistan,” he added. He said Peshawar has got a natural trade position and has served in the past as gateway to Central Asian Republics and this potential needed development and revival on sound footings. About payment of rebate on export, the minister held out the assurance for initiating payment on early basis. The prime minister would be requested to be the chief guest at the upcoming Businessmen Excellency Award of SCCI.